My friend Renee Brown, over at Great Peace Academy, fulfilled a long-time goal of hers by writing and publishing a book! When she contacted me to see if I’d be willing to read and review a copy, I jumped at the chance. Renee is a fantastic writer plus I’m passionate about her book topic, so I knew this would be a great fit for me. I wasn’t disappointed. “Ohio Homeschooling: Guide and Directory” by Renee Aleshire Brown provides a wealth of information to fellow homeschoolers, and to those who are considering homeschooling. This book starts out on the technical side of things by explaining Ohio laws and regulations: Do you need to have a college degree? What subjects must be covered? Who do you answer to? What should you do if a school official questions your educational choices? Not only does Renee answer those questions (and many more like it), but she also includes links to forms that Ohio Homeschoolers can read and fill out to help simplify the process. Renee then offers several very organized, well thought-out lists of local homeschool opportunities, divided by region. These wonderful lists are complete with helpful links to a multitude of homeschool cooperatives, support groups, field trip suggestions, and meet-up opportunities. Homeschool enhancement classes are broken down into opportunities by subject such as art, music, and physical education. Field trip destinations provides ideas and opportunities that span across the entire state. These helpful categories include Amusement Parks; Arboretums, Parks, and Nature Preserves; The Arts; Business and Industry; Farms and Orchards; Museums; History; Science; Sports and Sporting Events; and Zoos and Animal Preserves. I live in North-Eastern Kentucky and I quickly realized that, while the Ohio laws regarding homeschooling don’t currently apply to me, the homeschool field trip guide alone makes this book a valuable tool for people living in the states that surround Ohio (Pennsylvania, West Virginia, Kentucky, Indiana, and Michigan). Renee did not leave any area of Ohio untouched when she researched homeschool opportunities and I’m adding many of her ideas to my “must visit” list. In addition to laws and field trips, Renee provides fabulous information about different homeschool methods and she does so in a way that offers freedom to homeschool families as she helps parents see why they don’t need to fit into any one particular method of schooling. Renee shows why one teaching method isn’t necessarily better than another; although she does explain how some methods may be a better fit for individual families than other methods. Within the section of various homeschool methods, Renee provides links to a few curriculum options as well as helpful links to more information for those who would like to learn more about a particular method. 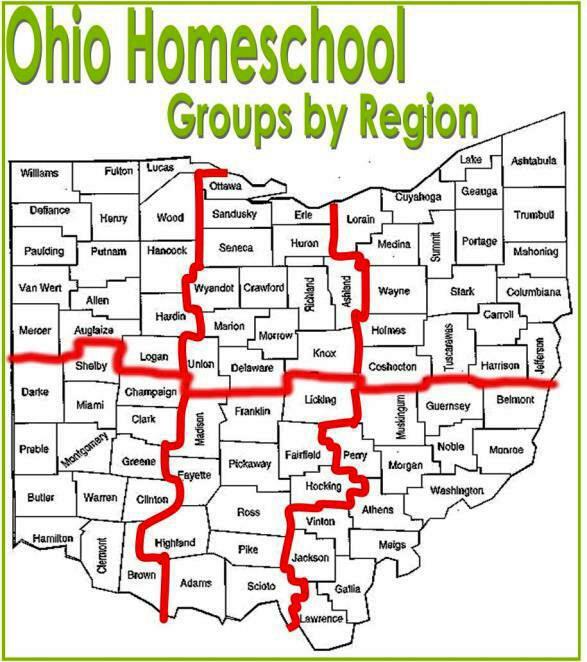 “Ohio Homeschooling: Guide and Directory” also includes helpful information about – and direct links to – homeschool stores, both in person and online (this is another section that is very helpful for those who live in one of the surrounding states). Want more information? You can read a little bit about the author, Renee Brown, here, and you can go here to see what other people are saying about Renee’s book. Renee also has several products and resources available for FREE, including a free meal-planning eBook, so make sure to check our her resource page. If you want to buy this book, don’t wait! “Ohio Homeschooling: Guide and Directory” by Renee Aleshire Brown is currently available for a just released special price of just $2.99, but the book cost will soon increase to $5.99 (which is still a great value due to all of the wonderful, well-presented information and resources that are provided within the eBook!). PS If you don’t live in Ohio or a surrounding state, but you know a homeschool family who lives in or near Ohio, please do them a favor by telling them about this book! I love you sweet friend. Thank you for sharing such a lovely review of my book from an out-side the state perspective. It’s so good to hear that my book can be of benefit to neighboring homeschoolers.